Ensure your air flow is pure and free from harmful contaminants. 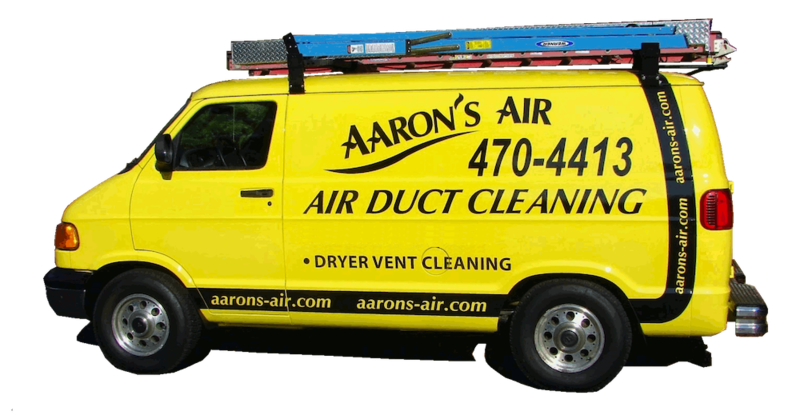 Aaron's Air provides air duct cleaning services, including a reassuring video inspection to chart the before-and-after results. Limit fire hazards and remain comfortable all year round. Our dryer vent cleaning is reliable, fast, and affordable. Call today to schedule service. Aaron's Air is based in Dayton, Ohio, providing services to both residential and commercial clients. Established in 2008, we're a sole proprietorship business with more than 25 years of experience. We provide air duct cleaning and sealing, dryer vent cleaning and repair. 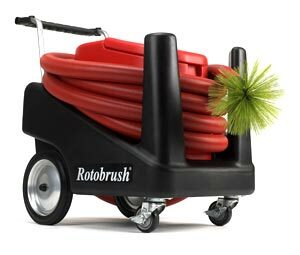 Our equipment comes from Rotobrush ®, enabling us to complete our signature detail-oriented work. Aaron's genuinely cares about the health of your family and we go out of our way to ensure every project is thorough and to your complete satisfaction—nothing less will suffice. Maintain your peace of mind with air duct cleaning services provided by Aaron's Air in Dayton, Ohio. Witness our work via a free video inspection before and after cleaning. Remove contaminants from your ducts to prevent or relieve respiratory problems such as asthma, bronchitis, and allergies. Air duct cleaning lengthens the life of your expensive equipment and lowers your monthly bills. Aaron's Air follows the Rotobrush™ system whereby the registers are removed and cleaned, and then the entire system is cleaned using the Rotobrush—we brush the inside of the pipe instead of simply moving air across it, a method used by lesser HVAC technicians. To complete we apply a liberal amount of antimicrobial spray. Our hands-on approach typically takes between six to eight hours. Your video inspection will show if our cleaning service is warranted and, if so, will show just how much dirt and debris is present. We also simultaneously inspect your furnace blower and air conditioning coil entirely free of charge. 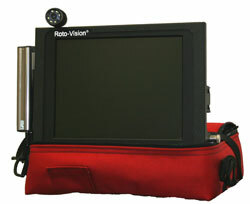 Call Aaron's Air to schedule a free video inspection. The inspection will reveal whether or not your duct work needs cleaned, thereby ensuring your making a wise investment. Reduce hazards and increase your general comfort level. Aaron's Air, based in Dayton, Ohio, offers dryer vent cleaning services. 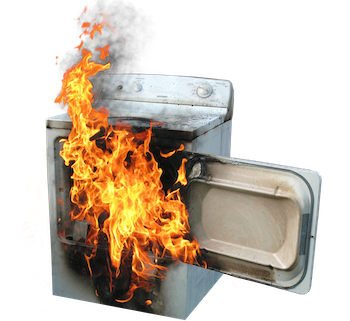 The National Air Duct Cleaners Association (NADCA) recommends cleaning your dryer vent once a year to prevent fires. Having lint build up in the vent is hazardous and holds the potential for fire in the home, as well as extending drying time and therefore increasing your monthly bills. Using our Rotobrush system, we fully clean the inside of the vent, clean the caps by hand, and replace any hoses and clamps, if necessary. From start to finish, the process typically takes just one hour to complete. Repair, installation, and bird's nest removal services are likewise available. Prevent the loss of heat leading to a loss of money! Aaron's Air provides duct sealing services and permanent filter sales in Dayton, Ohio. Ducts are connected with joints and segments and leaks are therefore a possibility. Aaron's Air uses oil- and water-based sealers or foil tape depending on the severity of the leak or what is most practical for your system. Save money by using permanent air filters. Cleaned just once per month, they provide the same filtration as their disposable counterparts, but without the ongoing replacement costs—plus they all come with a lifetime warranty! Complement a savvy filter purchase with the installation of UV lights close to the furnace or handler. This will assist with the more extreme cases of allergies or respiratory problems. Contact us in Dayton, Ohio, for dependable duct sealing services, or for our permanent filter sales. © 2016-2018 Aaron's Air. All Rights Reserved.